Get Your Filthy Paws off my Silky Drawers! 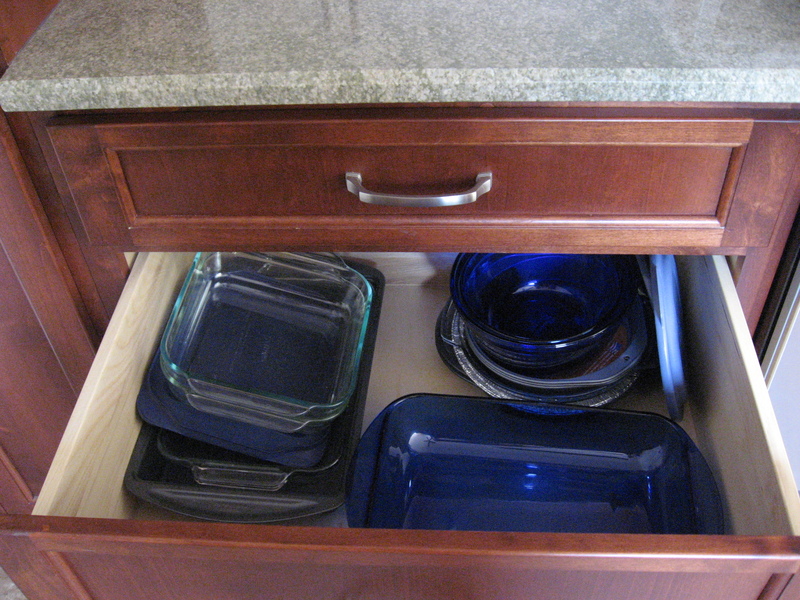 Since remodeling our kitchen, I have decided that drawer bases (aka. 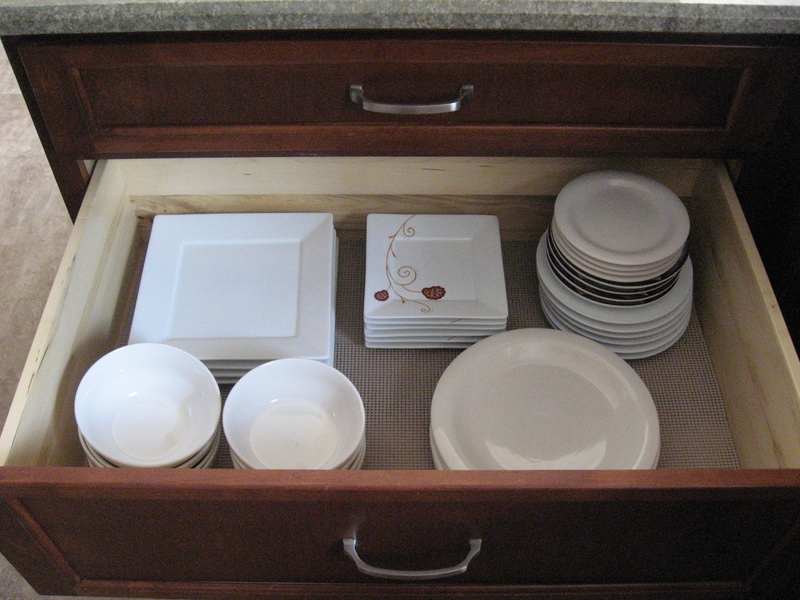 base cabinets with drawers instead of doors and/or pull-outs) are the best. thing. ever. 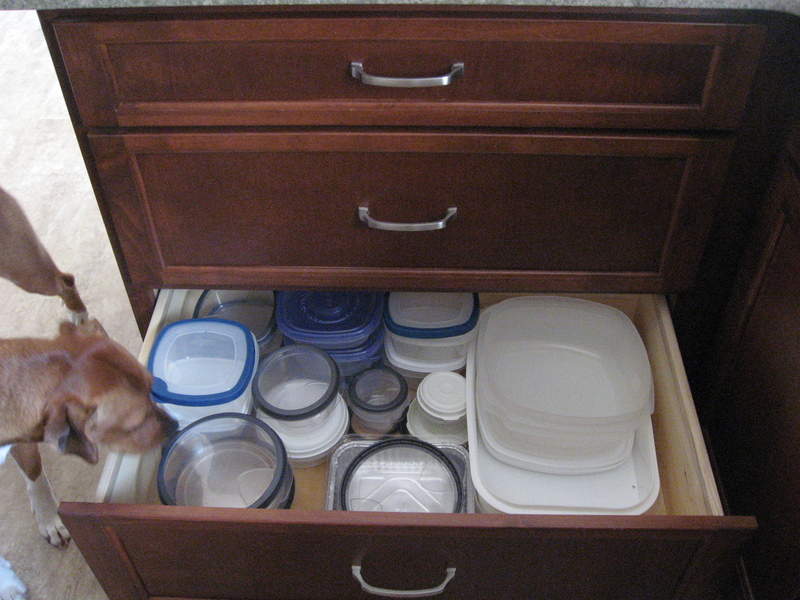 I can now store my empty food storage containers with the lids on. Now that I’m embracing this whole domesticity thing, you have no idea how much pleasure this gives me. It gives me the kind of pleasure that used to require a battery. And I’m not talking about a dust buster. I no longer have to pull heavy plates down from the wall cabinets over my head. My utensils, plastic wrap and storage bags? 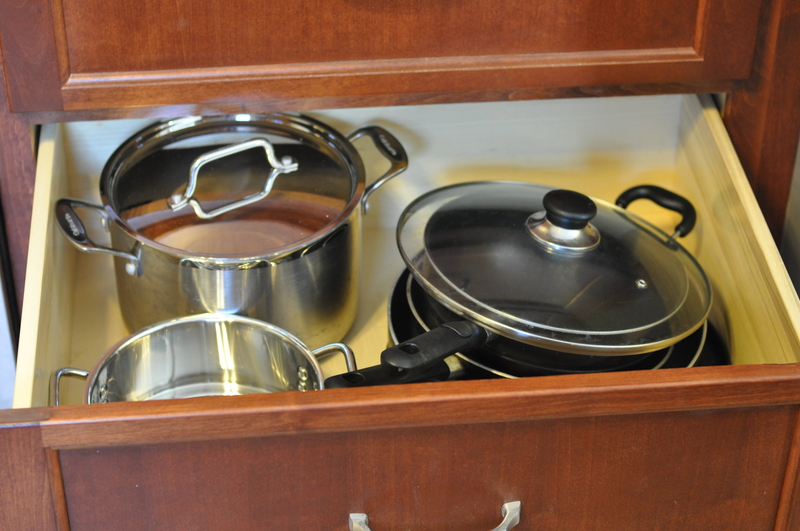 All conveniently near the food storage containers, dinnerware, and refrigerator. 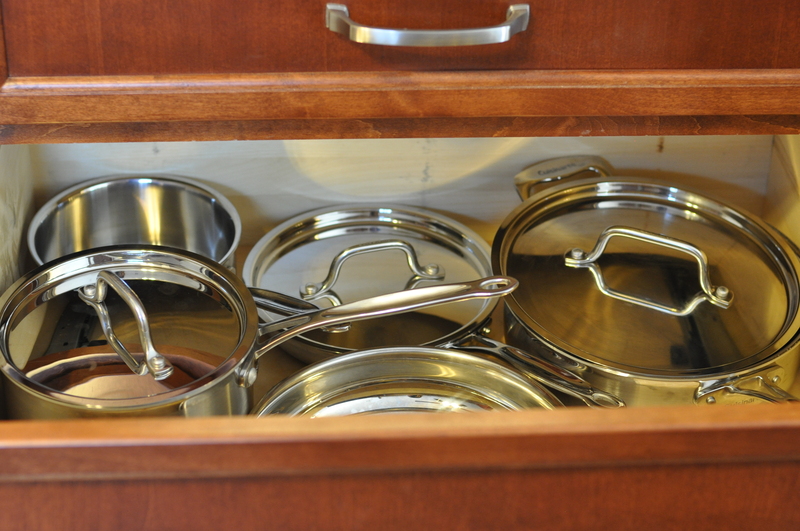 And I no longer need to crawl inside my cabinets to reach my baking dishes, pots, pans or their matching lids! 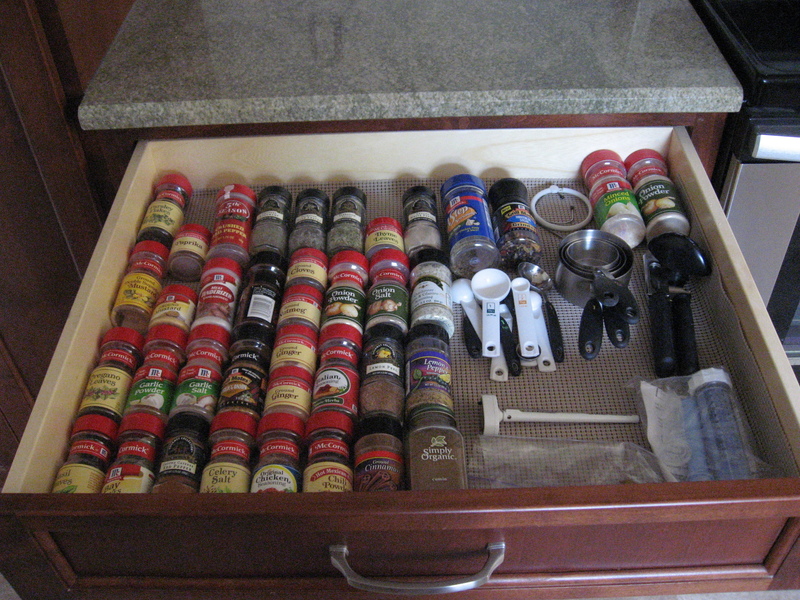 Finally… finally… no need to lift the spices one-by-one to read the labels. 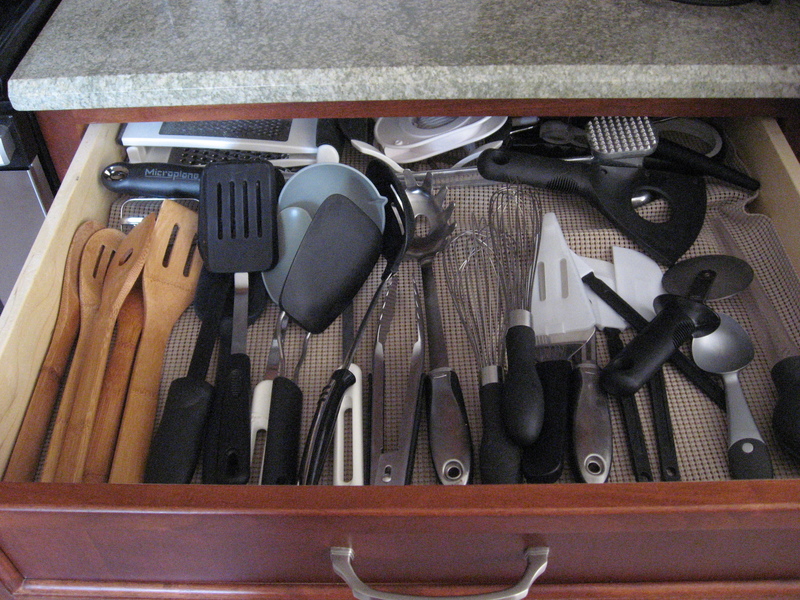 And the cooking utensils aren’t collecting dust in a container on the counter! There’s an added bonus, you say? 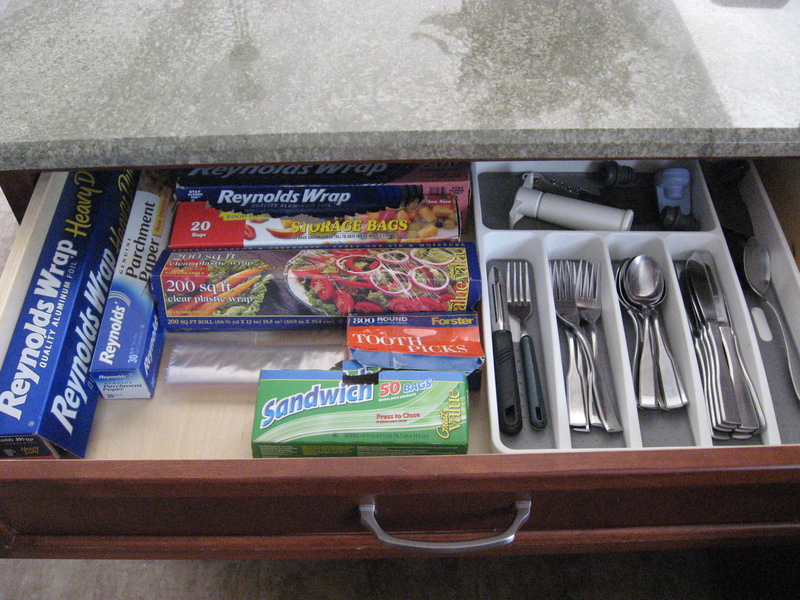 Maybe one of the best parts I’ve discovered about these huge storage drawers is that they really don’t require expensive interior dividers. All it took was some cheap cabinet liner from the dollar store, and viola! Instant organization. The plates don’t slide around, and the spices don’t roll and spill throughout the drawer. Who knew this could make me so happy? 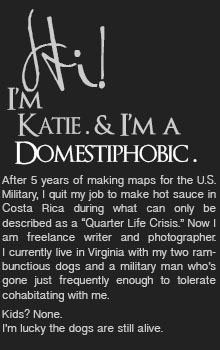 The first step to embracing domesticity is admitting you have a problem. I’m taking a down-and-dirty look at just a few of the areas that need improvement.